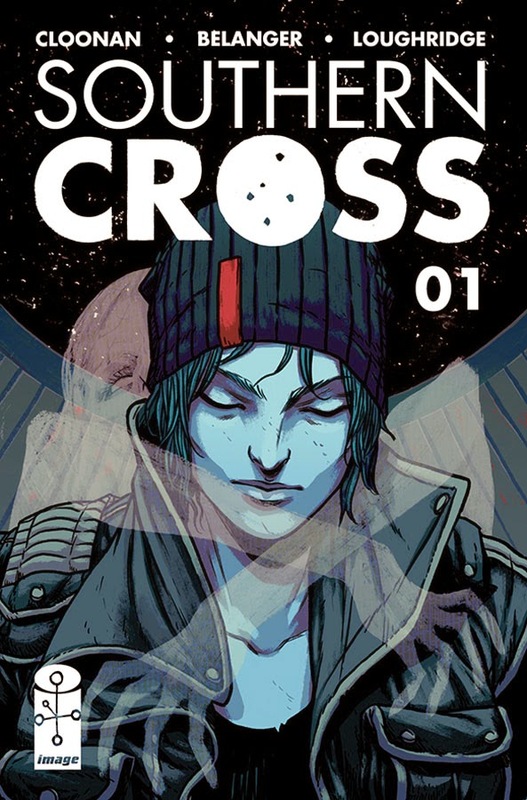 The Fellowship was fortunate enough to obtain a copy of SOUTHERN CROSS #1 from Image Comics. Becky Cloonan writes, Andy Belanger draws and Lee Loughridge colors. Alex’s journey is a terrible trip to have to make – she’s going out to Titan to collect her sister Amber’s body and belongings. Alex isn’t fond of close quarters, or people either, if we’re being honest. So six days on the tanker Southern Cross is not going to be a picnic. Her roomie is a little annoying, but some of the crew are cool, so she gets to look around some. The new engines are very odd, though. Alex has no idea what happened to Amber, who was a desk jockey at a mining facility. But with some of the hints that this issue gives us, it’s going to be awfully fun finding out. It’s too early to tell whether this will be hard science fiction or a mystery in an offworld setting, but it’s well written either way. Well drawn, too – the spacedock spread is beautiful, and the whole thing has a gritty look and feel. This book has great characters (especially Alex) and a really cool backdrop. I’m really looking forward to seeing where this one goes. Check it out. SOUTHERN CROSS #1 is available now at your FLCS or at imagecomics.com.